As India struggles to grapple with its growing imports for vegetable oil—over 67 per cent of our current demand is met by imports—a hidden source of unlimited potential lies untapped. Tree-borne oilseeds (TBOs), a minor forest produce, can significantly contribute to averting this situation. TBOs are shed naturally by trees and are mostly collected by forest-dependent tribal communities. According to the Ministry of Agriculture and Farmers’ Welfare’s National Mission on Oil Seeds and Oil Palm (NMOOP), India has about 10 TBO varieties, which include sal (Shorea robusta), neem (Azadirachta indica), mahua (Madhuca longifolia), karanj (Pongamia pinnata) and kokum (Garcinia indica). “We collect just 0.5 million tonnes of TBOs a year, while there is a potential to collect 3.5 million tonnes,” says B V Mehta, executive director, Solvent Extractors’ Association of India, the country’s premier vegetable oil producers’ association. A 2008 report by the Forest Governance Learning Group, an international initiative that works with forest dwellers, says India can produce 0.18 million tonnes of sal fat (unprocessed sal oil) each year against the current production of 6,000-9,000 tonnes. TBOs assume greater significance as the vegetable oil industry is at loggerheads with the Union government due to a rise in the import duty. On March 1 this year, the government increased the import duty on crude palm oil from 30 per cent to 44 per cent and refined palmolein and palm oil from 40 per cent to 54 per cent. Though officials say that these hikes have been made to make the domestic market competitive, India’s production of oil seeds has been steadily declining—from 32 million tonnes in 2010-11 to 20 million tonnes in 2017-18. This happened because farmers have ditched oilseed cultivation for wheat and rice, says a 2014 report by the Centre for Management in Agriculture of the Indian Institute of Management, Ahmedabad. It adds that around 70 per cent of the oilseed cultivation areas do not have sufficient irrigation facilities, which are integral for these water-intensive crops. No wonder that Vidarbha in Maharashtra, a predominantly oilseed producing region, has recorded the highest farmer suicides over the years. Mehta says that the recent import hike will not help as “import duties on sunflower oil, rapeseed oil and soya bean oil, which account for 38 per cent of imports, remain unchanged”. Recent decisions of the government to allow sal seed oil in chocolates and neem oil for coating urea may have created a demand for TBOs, but sources in the industry say that a government support system to promote TBOs is missing. The lack of promoting TBOs is evident. For instance, in 2014-15, the Union Ministry of Agriculture and Farmers’ Welfare launched Mini Mission III under NMOOP to promote TBOs. In 2016-17, Rs 5.45 crore was approved for state governments, of which only Rs 2.27 crore was released. What’s worse, the states could spend only Rs 1.72 crore. Of the Rs 4.37 crore earmarked to set up TBOs nurseries and plantations, only Rs 84 lakh was spent. Anupam Barik, additional commissioner, NMOOP, blames state governments for the unused funds. “We have set up the procurement centres, but the collection mechanisms are poor. We have reached out to the Tribal Cooperative Marketing Development Federation of India to improve collection rates, but they did not show interest,” he says. The problem of poor TBOs collection is echoed by the industry too. “The problem in the entire supply chain is at the collection and storage level,” says Mehta. He explains, for example, that sal seeds are only collected at the fringe of the forests as the people are not allowed entry by the forest departments. He adds that there are no large-scale collection mechanisms or mandis for neem seeds or mango kernels. In the absence of mandis, TBOs gatherers are forced to sell at prices dictated by brokers which often leads to further exploitation. This is worrisome as these forest dwellers earn a substantial amount of their income from oilseeds. A 2011 report of the erstwhile Planning Commission says that non-timber forest produce (such as TBOs) can contribute up to 40 per cent of the annual income of tribal communities. Biswanath Tung, who works with tribal communities in Similipal Tiger Reserve, Odisha, says if the government seriously wants to popularise the use of TBOs for producing edible oils, it will have to work at the grassroots level. “There is little awareness among the people about the potential of TBOs. Many don’t even know that minimum support price exists for these forest produce,” says Tung. The government can take a leaf out of several small initiatives across India that are showing how oil seeds can generate income for impoverished communities. In Balangir district in Odisha, for instance, women of Deogaon and Saintala blocks started an enterprise in 2016 to set up an oil extraction unit. The initial cost was met with the help of non-profit, Keystone Foundation. 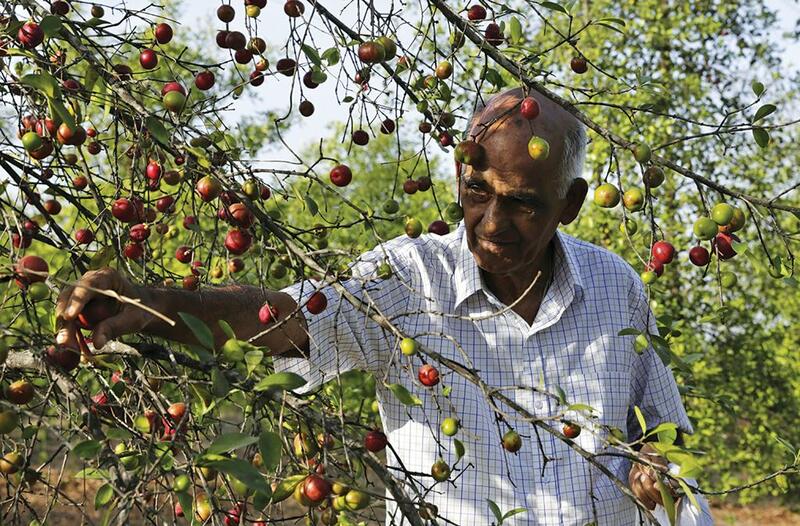 The Samruddha Oil Producer Company (SOPC) takes mahua seeds from locals and extracts oil for them, free of cost. Last year, SOPC produced 50 quintals of mahua oil for 30 villages in the area. The cost of running the extraction unit was met by selling the remaining oil cakes to the fertiliser industry and as fodder. The SOPC is also aiding the tribal economy as it helps residents reduce their edible oil expenses by around Rs 5,000 to Rs 7,000, according to Amar Kumar Gauda, regional manager, Regional Centre for Development and Co-operation, a non-profit working with communities in the area. If the government can emulate such initiatives at the larger level and promote indigenous production of vegetable oils, it will not only reduce our import bills, but create new markets while providing employment and enhanced income to marginalised communities.